Purpose of Form : To apply to adjust your status to that of a permanent resident of the United States. Number of Pages : Instructions: 10; Form: 4. 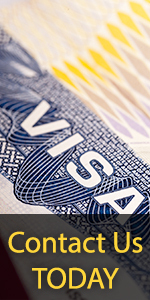 If you filed a Form I-485, Application to Register Permanent Residence or Adjust Status, on July 30, 2007, or after , then no fee is required to file a request for advance parole on Form I-131 and/or employment authorization on Form I-765. You may file the I-131 and I-765 concurrently with your I-485, or you may submit the I-131 and/or I-765 at a later date. If you file Form I-131 and/or I-765 separately, you must also submit a copy of the receipt for your Form I-797C, Notice of Action, as evidence of the filing of an I-485. Please review the Form I-485 instructions available at the bottom of the page, for specific information on where to file your Form I-485.